Tooth Extraction: Will my dentist pull my tooth? From the origins of the profession to even more modern times, there has been a long-standing fear of going to the dentist among the general public, a fear that until recently has remained pretty consistent. That old caricature of a dentist as a scary, mad-scientist type, who’s (of course) bent over pulling out you’re your teeth, has certainly been the subject of many classic slapstick comedies. However, as we delve further into the 21st century, that tired old stereotype has finally been put to rest. While certainly there have been a number of factors that have influenced this unfortunate stereotype, much of this perception has emerged from the misconceptions surrounding tooth extraction. The idea of pulling teeth has perhaps contributed to this negative perception more than anything else. When taking the time to learn about some of these brutal old-time methods, it is certainly understandable to see why. Fortunately, professional dentistry has come a long way since those days. While sometimes teeth still need to be removed, thanks to cutting edge 21st century technology, teeth can be removed and replaced with relative ease. The idea of having a tooth pulled remains a fear among a certain number of people. What many outside the realm of professional dentistry don’t realize is that, a tooth extraction is a relatively uncommon occurrence. That’s right, contrary to popular belief Dr. Skrobanek really doesn’t want to pull your teeth at all! If anything, he wants to save your teeth. Although a tooth extraction is sometimes necessary, teeth are usually only removed as a last resort. Of course, there are certain exceptions to this rule, as having one’s wisdom teeth removed has become something of a time-honored tradition in recent years and that many patients have had it done. While this is certainly true, let’s not forget that the removal of wisdom teeth generally is done purely out of necessity. 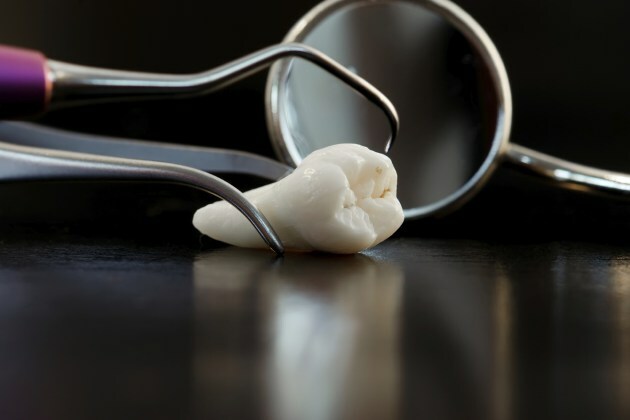 By leaving the wisdom teeth in the mouths of some patients, they are running the risk of incurring much more serious (and more painful) complications later on. As alluded to earlier, the full removable of a tooth is usually only if the tooth (or teeth) simply cannot be restored, or have become detrimental for your oral health. The two general reasons, in which a tooth can become a detriment, would be damage or decay. Teeth that are either substantially broken or damaged, or have become severally unhealthy or rotten, are usually the type that meet these criteria. As a tooth often becomes infected, it is setting the patient up for additional health problems if the infection continues to spread. Therefore, to prevent further issues these teeth are removed; however, once the tooth is completely removed, there is yet another thing to consider. Although certain teeth are necessary to remove, once removed what should be done about the large gap between your teeth? We imagine that you would want some sort of replacement, and fortunately for you we have them! Below are three fantastic options for tooth replacement, all of which can easily be made available to you! Often considered the most economical of the replacement options, the removable partial denture or RPD, is a removable row of porcelain dentures, as its name implies. A RPD can be used both as functional teeth and to serve aesthetic purposes. Despite the RPD’s relative popularity due to it being the least expensive of the options, it is the most accommodating for older individuals who may need several teeth replaced. However, it does present certain drawbacks. Over the years there have been quite a few instances of RPD’s getting lost or going missing, particularly among elderly patients or folks on vacation, leading some to seek a more secure solution. The final and perhaps most sought-after tooth replacement option is the dental implant. As opposed to the two previous options, the dental implant is more like an actual tooth that has been specifically created to replace your old one. This ceramic, custom-made tooth is strategically placed onto the jawbone of the patient. It is slowly enveloped by the bone and gums over time becoming the permanent replacement for the missing tooth. Although dental implants are more expensive than the previously mentioned options, they require the least amount of maintenance and attention as the others, in addition to providing the authentic look and feel of a natural tooth. Although the old historical persona of dentists being mean or scary still remains something of a stereotype in pop culture, by providing the best service possible and treatment options, fortunately the dentists of today have been able to shed this old stereotype and are seen as the wonderful caregivers that they truly are! So, before your next appointment at GPS Dental remember; extracting teeth is typically not what Dr. Skrobanek wants to do. Even if a tooth extraction is necessary, he can help you without much of an issue and will have several great replacement options for you! In the excitement of this New Year, it’s time to put the image of the scary dentist to rest, and begin 2018 with GPS Dental as your dental home trusting Dr. Skrobanek and his excellent team, rather than being afraid of them!